2019 marks the bicentenary of the most infamous event in British history. In August 1819 at a mass Reform rally, a charge by the yeomanry led to 15 deaths and perhaps 600 injured. 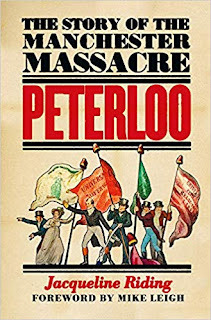 Peterloo, as the massacre in St. Peters Fields came to be known, has been the subject of many books, pamphlets and most recently a film by Mike Leigh. Now, Jacqueline Riding who has been the historical adviser to several of Mike Leigh's films has produced her own account. Peterloo shocked the nation, and even The Times in its reports of the event had to acknowledge that there was nothing "unlawful" about the event that had been smashed up by the Manchester authorities. 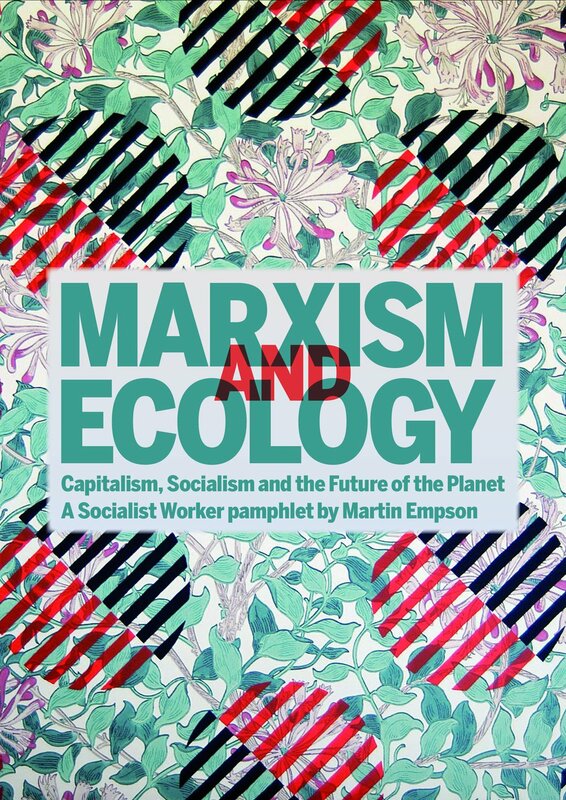 For the emergent working class movement, for political radicals and for generations since it has become short-hand for the way that the ruling class will use its power to protect its privileges and its system. Riding's book is an excellent account of the event and its historical context. She begins with the reality of working class life in the early 19th century. The rapid growth of industrial cities like Manchester which sucked in labour and created enormous wealth. Manchester itself was unique - there is a telling quote from a Swiss traveller who describes the city's factories where "a single steam engine frequently operates 40,000 to 50,000 spindles in a mill which has eight or nine floors and 30 wiondows" A single Manchester street has "more spindles than the whole of Switzerland" he complains. However those who built these factories and operated the machinery benefited least from the wealth that flowed from their labour. Our Swiss traveller noted that "Not one of the many thousand English factory workers has a square yard of land on which to grow food if he is out of work and draws no wages." 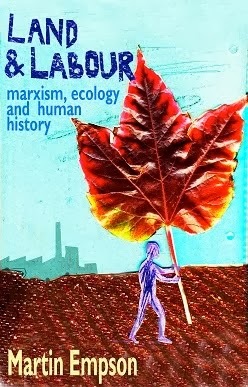 Low pay, poverty, over-crowded decrepit housing was the workers' lot and they lacked any ability to influence government, so it is no surprise that a movement for Reform was gathering strength among working people across the country and in Manchester in particular. A key purpose... of these mass meetings was a powerful display of numerical strength and significant collective will, in order to overawe the authorities. There were those on each side who hoped the other would be the first to move beyond the bounds - transgressing the constitution and thus forfeit public support. The danger with this line of reasoning is it could imply that the Reform movement, and Henry Hunt in particular, hoped for an over the top response from the government that would shift opinion Reforms way. Given the shocked reaction of Hunt to the violence (and his actions in trying to calm the crowd and urge them not to bring weapons), this seems unlikely. Nonetheless, when the yeomanry attacked the crowd, who as The Times understood, had not heard the Riot Act being read and could not have expected it, the authorities certainly did forfeit public support. It is clear from Riding's account that the magistrates clearly believed that the meeting was getting out of hand, but though it is also clear that the event was chaotic and confusing - it was not the "tumultuous" event that some thought it was. Rival accounts differ on whether the soldiers and authorities had stones thrown at them - it seems on balance that if this happened it was the exception not the rule for a crowd that had turned out in its best clothes for a spectacle. William Hay is probably representative of the authorities when he said "the assemblage of such a large number of people to be a breach of the peace, according to the the rules of common sense and the best slaw authorities." I also suspect that the size of the crowd terrified Hay and his compatriots because it demonstrated how large and powerful the Manchester workers were. One of the great strengths of the book is that it brings together the wider issues of the time. Riding describes the inclusion of a group of Irish weavers carrying a banner coloured with their "national" colour. Most importantly however she puts women at the centre of the story of Peterloo in a way that has seldom been done previously. In the years before Peterloo, women had begun to get organised as a section of the Reform movement, and Riding's account of this is fascinating. In particular I was struck by a reproduction of a caricature of women protesters which used the most vile, sexist language and imagery. Clearly the idea of women organising worried many; but Hunt made their involvement central to the day. The arrival of Hunt's carriage with Mary Fildes "perched prominently" was greeted with a "universal shout from probably eighty thousand persons" according to one eyewitness. So it was the sheer size of the crowd and its constituents that terrified the magistrates; Hay said that was "one of the most tumultuous meetings he ever saw" though the reality seems to have been exactly the opposite, right up to the moment the troops went in. The victims of Peterloo show no deference to age or gender. Witnesses describe indiscriminate slashing with edged weapons and riding down of the protesters. Senior soldiers afterwards described the events with language reminiscent of descriptions of victory on the battlefield. Yet, strangely perhaps, the movement was not cowed by the massacre. Riding shows how in the aftermath workers clearly wanted to resist. A shop that supposedly had a captured banner on display was attacked in a mass riot a few days later, and in the towns around Manchester men gathered to sharpen weapons and talk of revenge. But the authorities moved to behead the movement. Leading figures where imprisoned and while imprisoned Hunt himself seems to have believed that the time was ripe to move to constitutional change. There was no outbreak of revolution or further protest in the aftermath of Peterloo - though many of Reform activists would form the basis for the emergent Chartist movement; and as Riding points out the women Reformers were the precursor to the suffragettes. Peterloo is remembered for its violence. Sometimes I think it's infamy lies in the idea that it was unique. But this was not so. In fact in the period around then there had been a number (some of which Riding mentions) of incidents where state violence was used to quell protest movements - usually deploying overwhelming firepower against unarmed civilians. The British state might have realised that reforms had become necessary in the decades following 1819 (though it didn't stop them massacring workers in Merthyr in 1831); but they remained prepared to use violence against those who challenged them elsewhere - particularly in the colonies. In that sense, Peterloo is not a unique event, but a tragedy in a long line of violent tragedies. Yet for its fame, and its impact upon subsequent social and political movements Peterloo itself is barely acknowledged in Manchester. 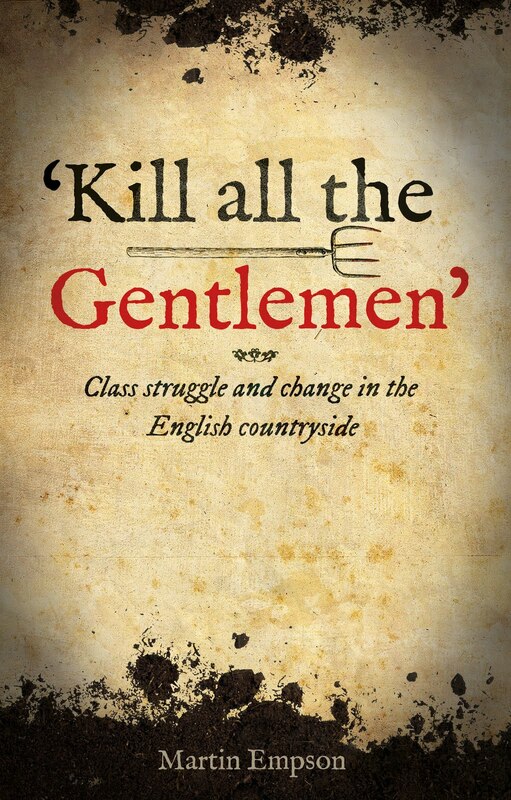 Katrina Navickas has written recently on how St Peters' Fields became a site that radical movements wanted to associate themselves with in the years following Peterloo, marching to and rallying in the area the massacre took place. So perhaps this is partly why the Manchester authorities have barely acknowledged the events that took place there. There's a plaque and proposals for a monument, but today it is easy to walk along the streets that are mentioned in this account and not know that the event had taken place. So it is with great pleasure that I recommend Jacqueline Riding's highly readable account of Peterloo in the hope that radicals old and new can learn the lessons of how far the state will go to protect its interests.